One of the highlights of Chinese New Year has always been the possibility that I will finally have my fill of Chinese candied kumquats. My appetite for these tasty little jewels has still not been sated, and it is not for lack of trying. 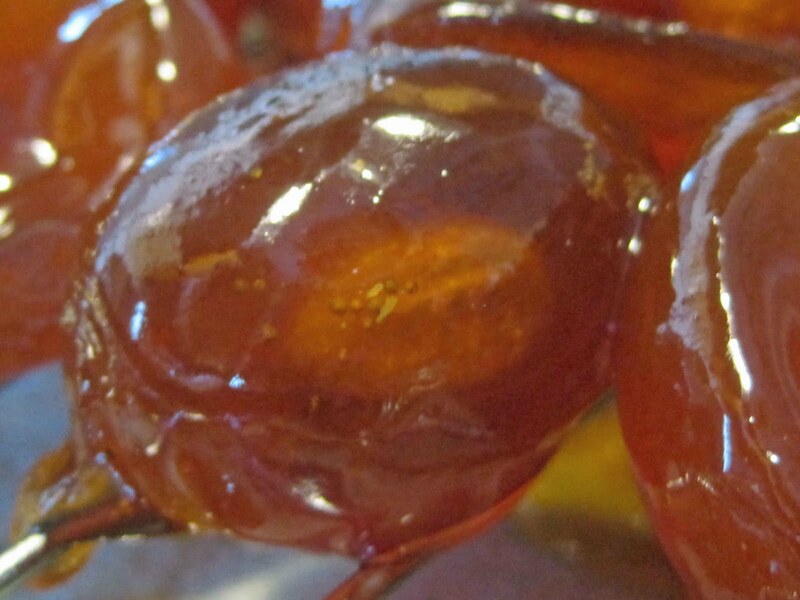 The problem is that even in Taiwan, not that many people make (or made) really good candied kumquat, so demand has always seriously outstripped supply when it comes to me and the perfect sugary golden morsel. And even if I do come across a bag of them, they have to be fresh in order to really get me excited, but most tend to sit around on shelves for ages before somebody likes me comes traipsing through the store, so I often end up tossing out whatever was once initially pounced on with delight. 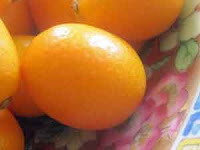 It is near the end of kumquat season here in California, and now that I am making lots of Anhui dishes, I've come across a new need for kumquat candy, because it is used not only for desserts, but also for various meat dishes. If that strikes you as odd, think of that seventies dish that was once the height of sophistication: duck a la orange. 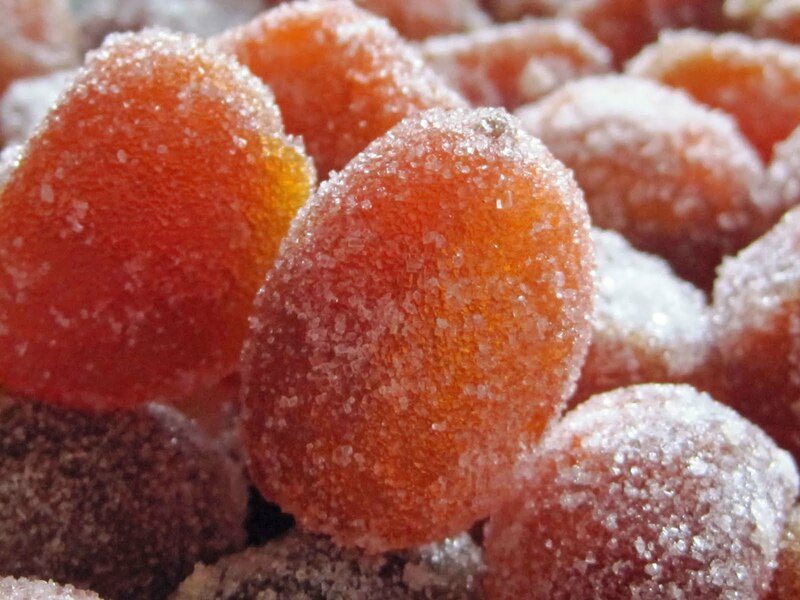 In Anhui, as in other eastern provinces, candied kumquats are used to add a generous citrus note to lots of local creations, especially ones that feature pork. Chocolate and vanilla are nonexistent in the traditional cuisine, of course, but you can fine floral notes courtesy of rose petals and sweet olive blossoms (guihua), hot undercurrents due to ginger, and the nose-tingling evidence of warm spices like cinnamon and anise and fennel, but the most dramatic flavoring around seems to be the one that candied kumquats provide. And even though I thought that finding candied kumquats was difficult, locating a good recipe for kumquat candy was even harder. Most recipes I uncovered call for them to be boiled away in a syrup, and I tried that, and they ended up soft and mushy and tasted like marmalade, which is fine -- and marmalade can be used in a pinch if you don't have any candied 'quats hanging around your pantry -- but I wanted those mounds of those delicious, whole, sugared baby oranges with moist, tart centers that haunted my dreams, ones like I used to buy from a Shanghainese candy store in downtown Taipei in late winter. My quest led me to develop the following recipe, and I find that it faithfully echoes those faint but delicious memories. I soon found that the biggest problem was keeping the fruits from bursting, because I wanted to retain the lovely shape of the kumquats in the finished candy. The secret to this is pricking the fruit all over so that steam can escape, and these holes also serve as perfect conduits for the syrup to wiggle its way into the molten centers and transform all those juicy pockets into crystallized bits of candy. Second, never allow the fruit to boil away; kumquats have delicate skins that require kid glove treatment; poaching and soaking them in hot syrup gives the skins time to toughen up with the sugar, and this in turn gives the skins a characteristic chewiness that I love so well. 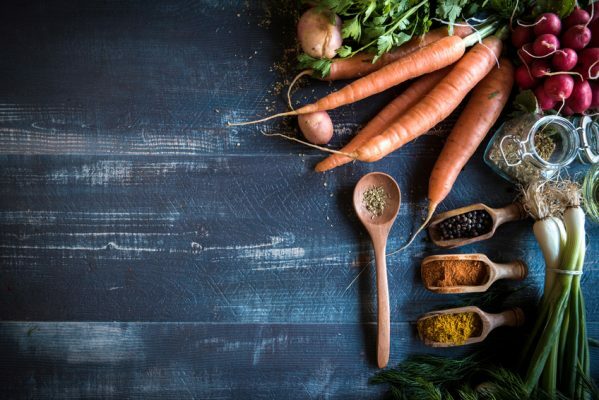 This recipe takes a bit of time, but basically it is a matter of bringing a pot of water and kumquats to a boil three times, letting them soak in the hot water until the water cools down a bit, bringing them to a boil three times in sugar syrup, and then finally coating them with sugar. In other words, there is a lot of waiting around for things to happen, so you can attend to other things while the kumquats get busy turning into candy. The reason why kumquats are given three hot baths is to remove the bitterness from the skins and to tenderize them so that they soak up the syrup later on. 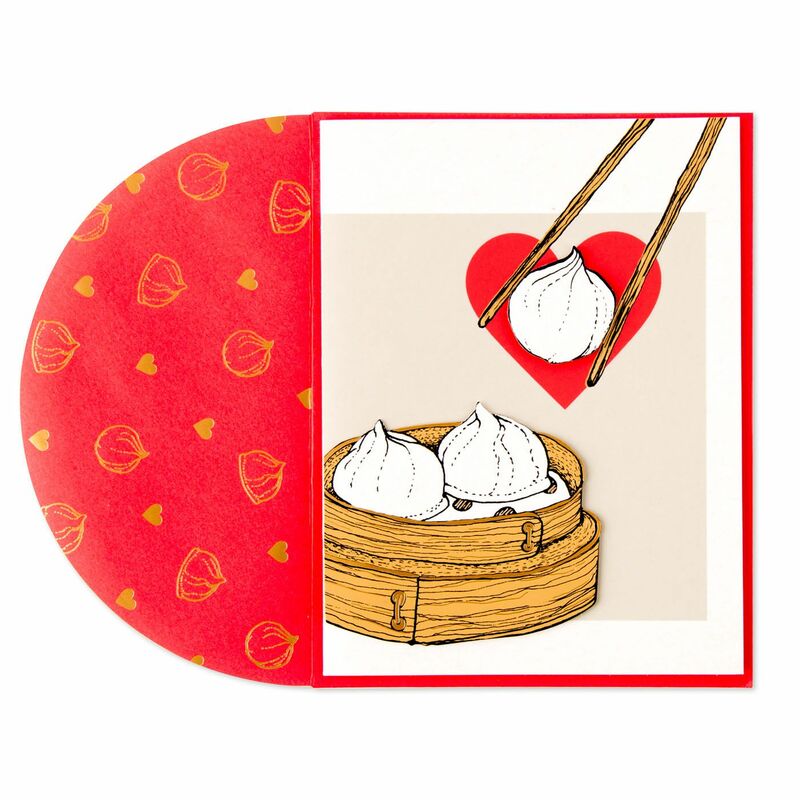 You will still have some seeds in the candies, but never fear, as they are edible, and they are easy to unobtrusively spit out if you are not inclined to nibble on them. Store the kumquats in an airtight container in a dark, cool place and enjoy them while they are still moist and delectable. 2. Place the kumquats back in the pan, add the sugar, 2 cups water, salt, and cream of tartar, bring the pot to a full boil, and then lower the heat to very low, so that there is practically no movement in the pan, as the kumquats will be very tender at this point and will easily fall apart. Slowly cook the fruit for about an hour, or until the fruit looks translucent and dark. Cover the pan and let the fruit sit overnight in the syrup. 3. Bring the syrup to a boil, cover the pan, and turn off the heat; let the kumquats and syrup return to room temperature. Do this three times until they look like balls of pure amber. 4. Thoroughly drain the kumquats (reserve the syrup for something else; see the note below) on a cake rack overnight. Place about a cup of sugar on a rimmed plate or tray and roll a few of the sticky kumquats at a time in the sugar until they are completely coated. Place the sugared kumquats in an airtight container with extra sugar between them and keep in a cool, dark place. Use while still plump and fresh. Note: The syrup can be used over pancakes or waffles, like marmalade, as a flavoring for sparkling water, and as a delicious coating for things like baked ham. Use any broken kumquats for cooking and save the pretty ones to serve with tea. Thank you for posting this; I discovered your recipe in my most recent search for "candied kumquats," which seem almost impossible to find for sale online anywhere. I don't know them from a Chinese context, but I did buy what were certainly ones imported from China years ago on a trip to Venice, Italy, and they've remained in my memory since then. I tried to make some once myself, but as you mentioned, ended up with something more like marmelade. I really have to try your method and recipe... but I fear it'll take me quite awhile to eat two pounds of the sweets by myself. You're welcome, Joe. Glad that someone else has fallen in love with candied kumquats. 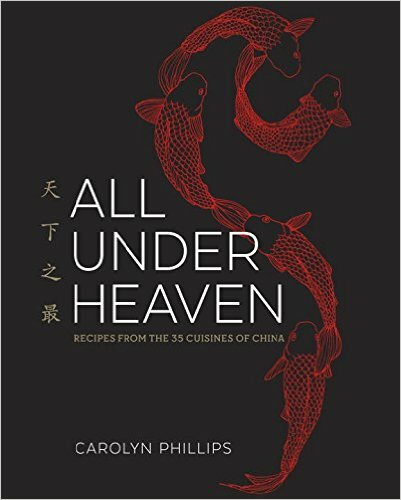 As for what to do with them, in addition to Anhui's pork dishes (and I really will get to those before long), you could also try them chopped up in things like Florentine cookies, or in Diana Kennedy's Hot Cross Buns, the absolute best version around, which she included in her collection of favorite non-Mexican recipes called "Nothing Fancy." Let me know if you make them and how they turned out! I want to make these today.. 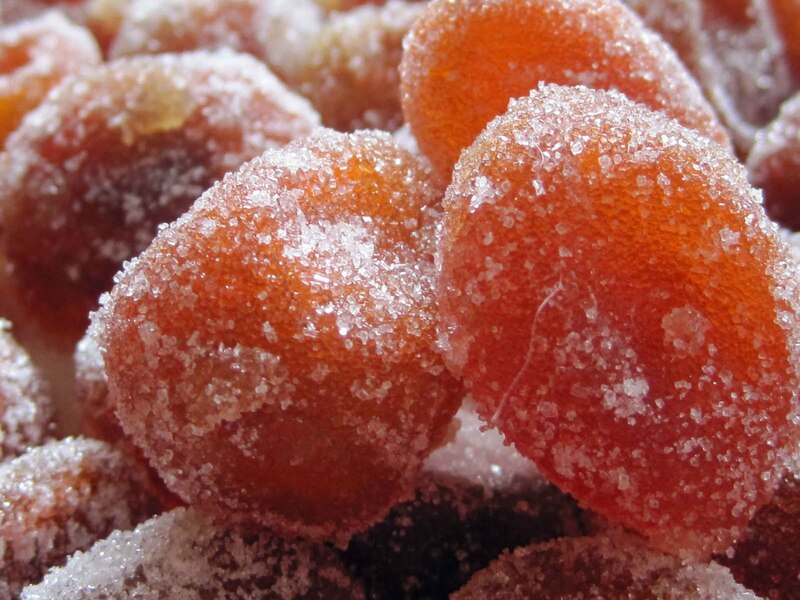 I have this lovely memory of candied kumquats I had last year in Chengdu: they weren't syrupy but light and sugary and had an incredible texture. The pictures of your kumquats remind me of those very much! One more question: at what time does the cream of tartar come in? The ones in your photo are just like the ones I used to enjoy in Taipei, as well as the ones here, so I hope that they match your taste memories, too. Thanks for the reminder about when to add the cream of tartar... the column has been rectified. Thanks! These are delicious.! The only problem I had was that the sugar got damp and then wet.. Used superfine sugar. Any suggestions would be appreciated! Thank you! I think the problems might be twofold: the syrup was not boiled down enough and the juices in the kumquats didn't get properly released. Both the fruit and the syrup should be very sticky when you are done, and the kumquats ought to be very translucent and firm. These still can be saved if you still have the syrup, so let's try this: rinse the sanding sugar off of the candied kumquats and drain them thoroughly. While they are draining, boil the syrup again until it is reduced to the texture of maple syrup. Pierce each kumquat all over once more and then return them to the syrup. Bring them to a boil again (but no longer) and then let the kumquats sit overnight in the syrup. Repeat Step 3; the kumquats should not fall apart this way, but turn rather hard, as all of their juices will have been replaced with the sugar. Then proceed to Step 4. Is it a problem if the fruit splits on the.side during the blanching? They won't be as pretty, but the kumquats ought to taste delicious no matter what. It is kumquat season in socal! 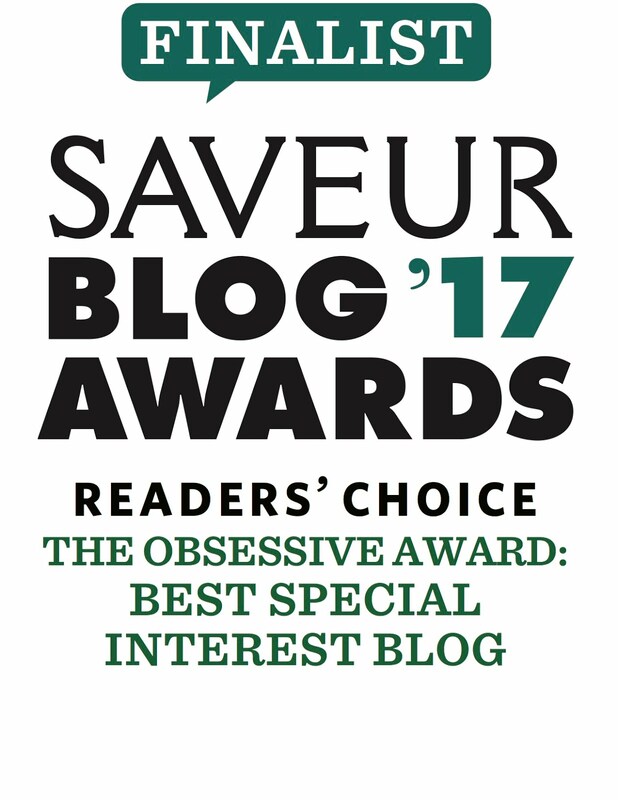 I am so excited that I found your blog and what a gem! I am going try out this candied kumquats this weekend! How sweet of you to write to me. 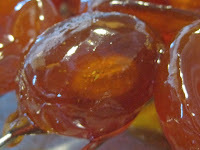 Hope that you love these candied kumquats as well as I do! Oh those enticing images of perfect amber globes! I pierced the fresh fruit through with a long pearl headed pin and heated and cooled repeatedly as instructed. Alas, most collapsed after their ordeal of multiple heatings. Did this year's fruit from our El Niño winter lack the internal fortitude to keep their perky form? Did they require a larger diameter piercing? Should they have been heated in a wider bottom pan? Oh Madame Houng, do provide counsel! Your photos demonstrate perfection! Heh, I love your writing style! If you followed the directions to the letter (and it sounds like you did) the kumquats might have been either too ripe or too old. So you're right, they did lack the necessary fortitude. If you're up to trying this again, get really fresh kumquats that still have their bright green stem ends attached, which will testify to their quality. The skins should be tight and glossy. Press them lightly to ensure that they are not soft or squishy - you want them to have a bit of fight in them so that they can stand up to this lengthy cooking and cooling. Sorry it took so long to get back to you... I was out of town and then deluged with work! How long would you say these last unrefridgerated? I would like to make some to add to christmas presents, but they would need to be able to sit for a week. Also, would you recommend using a crock pot which automatically turns to "keep warm" after cooking time is done? It would be nice to be able to keep the stove free. Mine have lasted at least a couple of months unrefrigerated. The main thing is to keep them absolutely dry and packed with sugar. I'm not sure about a crock pot. You'd have to experiment there to ensure that the kumquats don't overcook. Please let me know if you do try that! I bought a box of 250g kumquats that originate from Japan since they were the only ones available here in Singpaore during teh X'mas season. boy are they expensive at SGD8.90 per box! After the 1st round of bringing to a boil, a few skins cracked. now after the 3rd bringing to a boil, half of them all had cracked skins. Am I doing something wrong? Hi, and thanks for the kind words. It's hard to say exactly what the problem might be. You pricked the skins first all over, right? That is really important, as it allows the heat to escape, and if the air can't get out, the skins will explode. Other possibilities might be that the fruits were too ripe, had skins that were too thin, the heat was too high when they were brought to a boil, or they were boiled for too long. It's really hard to tell. As you get to the last steps here, you can reserve the pretty ones and use the broken ones for marmalade. They will still be incredibly tasty, just not gorgeous. Don't be discouraged. This is the most difficult recipe in my collection! Candy-making can be very frustrating, but you have to give yourself the chance to make mistakes, because that's how you learn. (Or, at least, that's how I have always learned!) Unlike most other kinds of cooking, candy is basically chemistry at work, and so little variations can cause problems. You'll do great. Perfection usually takes practice, no matter what you're doing. I pricked each fruit 12 times. perhaps i got them too ripe. will try again with "greener" looking ones in the next batch. I actually halved the recipe, but forgot to half the salt. I think mine became salted. opps! Most of the fruits shriveled looking like the chinese preserved prunes, only 2 are still rounded. Oh well, try again! You can try a "flame tamer" for your gas stove; this will give you the lowest possible heat. 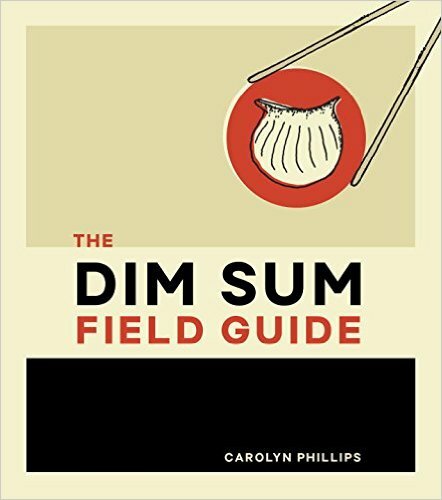 Amazon has them (http://amzn.to/2BVn1A7), as do cookware shops. I've also seen them in Indian groceries. Wishing you great kumquats! As an alternative to pricking ten times i found a large skewer, or bunch of toothpicks, poked deep into the stem dimple, almost to the opposite end but not through, works well and is faster. This leaves a large opening for the syrup and fewer places for the skin to break (though some still do if the heat isnt very low or the piercing is too shallow). That is a brilliant idea. Thanks! I can't wait to try it. Thanks for sharing the recipe in the first place! Truly the hardest step is managing the temperature, but the worst case scenario is a jar of sugared, syrupy fruit -- or a leather if it's a "disaster". Unless you are fortunate to have a tree with more fruit than you can eat ;). In which case any experiment is better than the squirrels wasting them. My mother use to make kumquats in syrup that she would then pour over vanilla ice cream! I've made them several ways including a recipe where you slit them maybe 5 lines then when they done boiling you remove the entire pulp so you just have the skins. Then after candying you flatten them and they make these lovely kind of Asterix shape.